It's one of the greatest archaeological mysteries of all time: How did Neolithic peoples build Stonehenge—a massive, bluestone structure in an area where no stones of that kind can be found? As CNN reports, a new study answers some of the questions the site raises and puts other theories to rest. The first stage of Stonehenge, located in what's now Salisbury, England, was built roughly 4000 years ago. Archaeologists have known for a while that the bluestones used to make Stonehenge originated from quarries in Pembrokeshire, Wales, 150 miles away, but how the stones arrived at their current spot is less clear. According to one theory, humans spent months transporting the materials, possibly with wooden sleighs on rollers, oxen, or river rafts. Other experts insist that it would have been impossible to transport the 25-ton rocks such a great distance using primitive technology. Instead, they say the stones were placed there by glacial activity. The new study published in the journal Antiquity debunks that idea. Archaeologists and geologists from the UK studied the smaller rocks used to build Stonehenge and pegged them to two quarries in the Preseli Hills of Wales. Upon visiting the sites, they discovered traces of tools, stone wedges, and digging activity. The evidence dates back to 3000 BCE, the same time when construction on Stonehenge started. The results also dispel previously held beliefs concerning the rocks' origins. Though it's widely accepted that the stones came from the Preseli Hills, this study is the first to trace them to two specific quarries on the north side of the hills—Carn Goedog and Craig Rhos-y-felin. It was thought for nearly a century that the rocks were excavated from the opposite side. 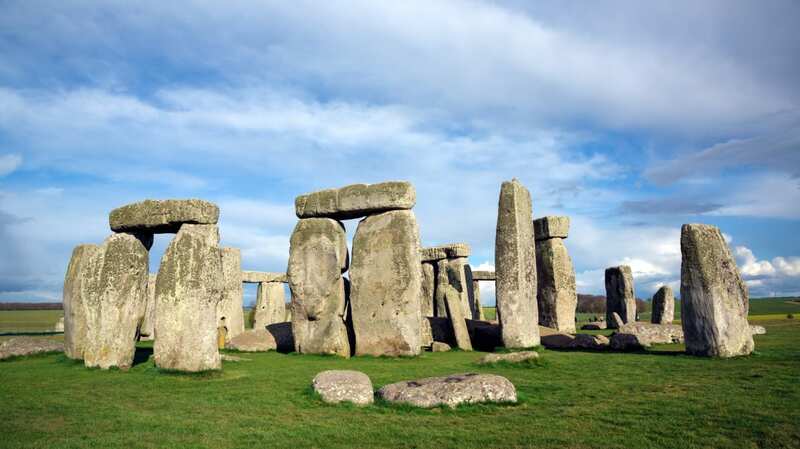 The research team says their findings suggest that materials used to make Stonehenge were moved by purposeful human activity rather than freak natural forces. But the study still leaves some questions unanswered, such as how the ancient peoples were able to transport the rocks 150 miles after digging them up. The fact that the rocks came from the north side of the Preseli Hills suggests they were dragged over land rather than transported by river—though the exact methods used remain a mystery .